Bryan Thompson, is an award-winning filmmaker, international business executive, and US Army Veteran. Thompson studied International Business at Eastern Michigan University earning his B.A. and Law at the College of William & Mary, earning his J.D. in 2012. In December 2017, he earned his LL.M. (Masters in Law) at the University of Miami with coursework including TV and Film Distribution and International Law. Having begun his work in Media and Entertainment several years prior to attending law school, his studies lead him to eventually write and produce films spanning several genre, each dealing with complex legal issues. This background has allowed him to identify, understand, and manage the complex legal issues that arise on every production. 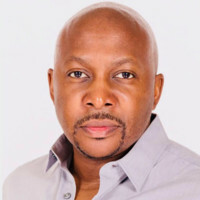 Thompson founded the production company Imani Films in 2012. The company’s first production exposed audiences to the often misunderstood “wet-foot-dry-foot” law, a former US immigration policy that stated that anyone who fled Cuba and entered the United States would be allowed to pursue residency a year later. The now award-winning film “Noventa” is a story about Cubans with conflicting opinions about how to execute a dangerous plan to escape the Communist island country. “Noventa” won Audience Choice in Film Miami Fest 2015, Best Actress (Margarita Romero) in Film Miami Fest 2015, Best Short Film in the Miami Independent Film Festival 2015, and Official Selection at the 2016 Hollywood FL Film Festival. In 2014, Thompson produced the sci-fi/action series, “The Cell”, which subtly exposed audiences to national security law and the delicate ethical balance between protecting the nation at all costs and the protection of human right. A US Army Veteran of the Iraq War, he was able to use his experiences to inject levels of realism into the sci-fi script. The story centers around women with telekinetic powers resulting from unauthorized experimentation on infants. Thompson wrote the script, produced it, directed it, choreographed all fight scenes, and executed his own stunts. “The Cell” received multiple international accolades including Best Directing and Best Visual Effects at the Los Angeles Web Series Festival 2013, Official Selection at the Hollyweb 2013 (Hollywood, CA), and Official Selection at Carballo Interplay 2013 (Spain). In that year, he also founded Florida’s first international film festival for web series; the Miami Web Series Festival (“Miami Web Fest”) The exposure from this event has contributed to the success of several independently produced web series who subsequently secured distribution with Netflix, Vivendi and other prominent networks. The event features productions from around the world and is judged by network executive from companies like HBO and Viacom. The event also features a Veteran-focused component called the Veteran Film Awards, which highlights the work of military veterans using filmmaking as a creative outlet for stress. In 2016, Thompson tackled the issue of immigration law reform, producing the 90-minute feature film “El Sueño”, which highlights the heated debate about the Dream Act. The film won Best Feature Film at the Festival de Cine Latinoamericano in Fort Worth, Texas. This film was recently acquired by the distributor American Cinema International, Los Angeles, CA and can currently be seen on Amazon Prime. His most recent feature film, “Rogue Cell” was acquired by the distribution company Maverick Entertainment and is slated for distribution on multiple platforms in the coming months. Thompson was awarded the key to the City of Miami in 2017 for his contributions to the city’s artistic community as well as it’s veteran population.